The Smoky Hill Museum connects people to universally shared stories, unleashing the power of local history to engage, inspire and surprise. 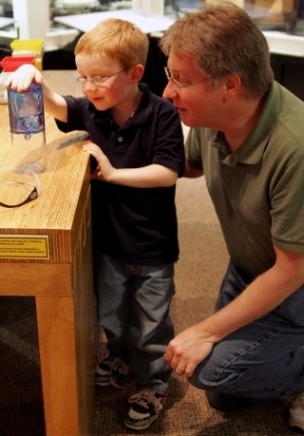 The Smoky Hill Museum inspires visitors of all ages to understand the region’s rich history. Around each corner are exhibits featuring local people and artifacts explore topics including immigration, agriculture, education and more. The Museum reflects the struggles and vision of the people of the Smoky Hills region and Salina since the city’s founding in 1858. The Museum’s collections began in 1879 as part of the Saline County Historical Society, initiated by town founders William A. Phillips and Alexander M. Campbell. Just over a century later, the Museum opened to the public in its current location in 1986 at the historic post office at 8th Street and Iron Avenue downtown, receiving national accreditation in 1997. Today, it continues to operate as a division of Salina Arts & Humanities, with professionally trained staff who serve more than 35,000 visitors each year. The Smoky Hill Museum offers a wide variety of educational programs and a Kansas-focused Museum Store. The City of Salina, who owns and operates the Smoky Hill Museum, works alongside the Friends of the Smoky Hill Museum. The Friends of the Smoky Hill Museum is a private 501c3 organization who helps promote and support the activities carried on by the Museum. It is this partnership that allows the Museum to remain an excellent, free admission educational institution.